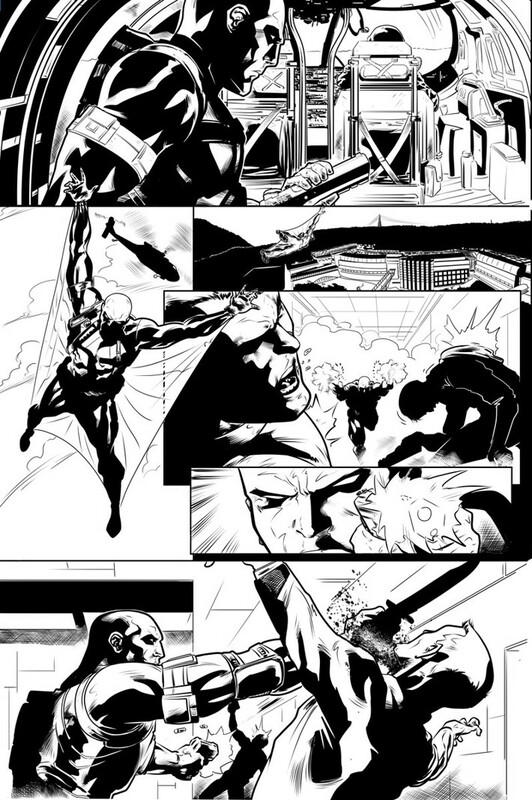 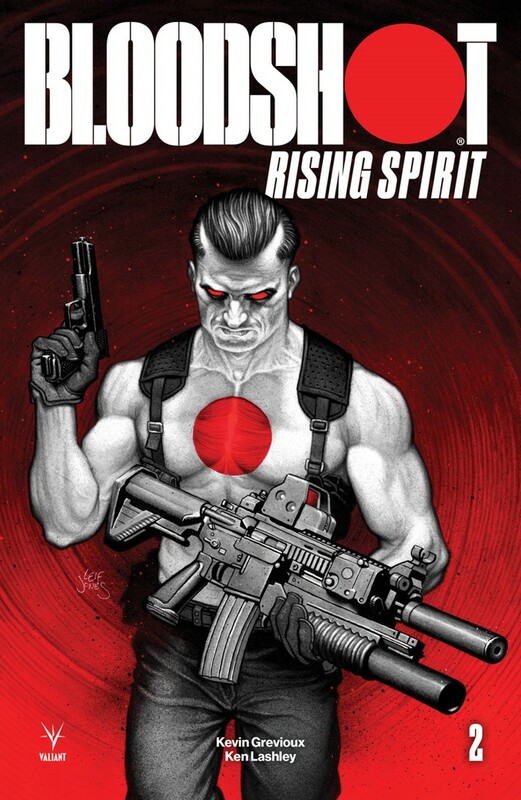 Media Release -- As first revealed at Graphic Policy, Valiant is proud to debut your first look at BLOODSHOT RISING SPIRIT #2, the next chapter in an unstoppable new series delving deep into the violent legacy of the man-turned-machine known as...Bloodshot! 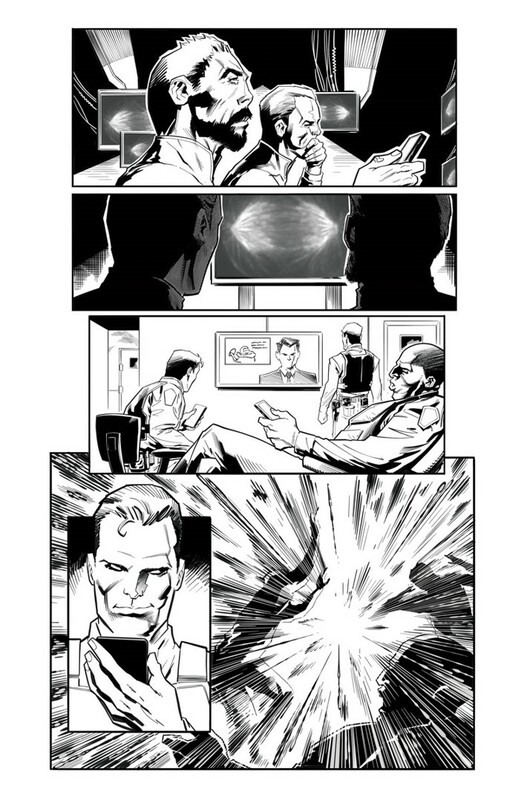 Bloodshot's handlers have a problem: Their valuable asset isn't quite the blank slate they'd hoped for and keeps rejecting the false memories they attempt to implant into his mind. 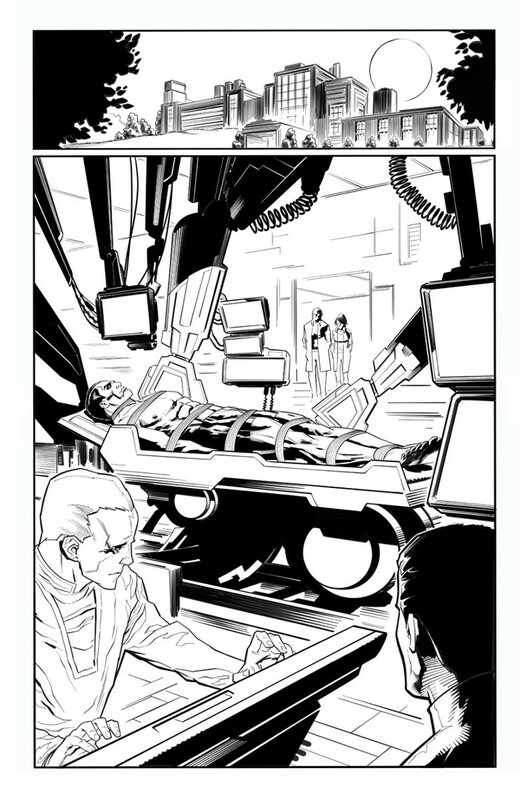 Can Project Rising Spirit recoup their losses and produce the perfect supersoldier at last – or is their new prototype at risk of being shelved permanently? 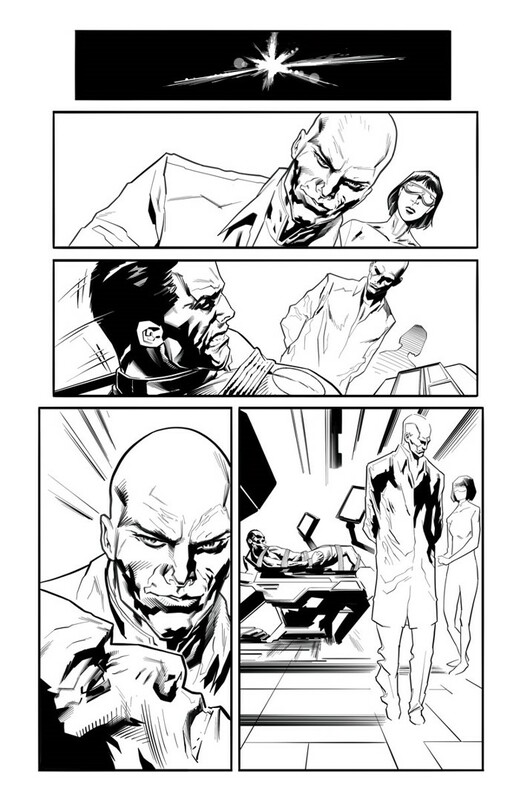 On December 19th, celebrated writer Kevin Grevioux (the Underworld franchise, New Warriors) and acclaimed artist Ken Lashley (X-Men) deliver a powerful blow to the freshly rewritten psyche of Valiant's larger-than-life legend in BLOODSHOT RISING SPIRIT #2 – featuring covers by Felipe Massafera (Green Lantern: Emerald Warriors), Leif Jones (GENERATION ZERO), and Leonardo Manco (Hellblazer)! 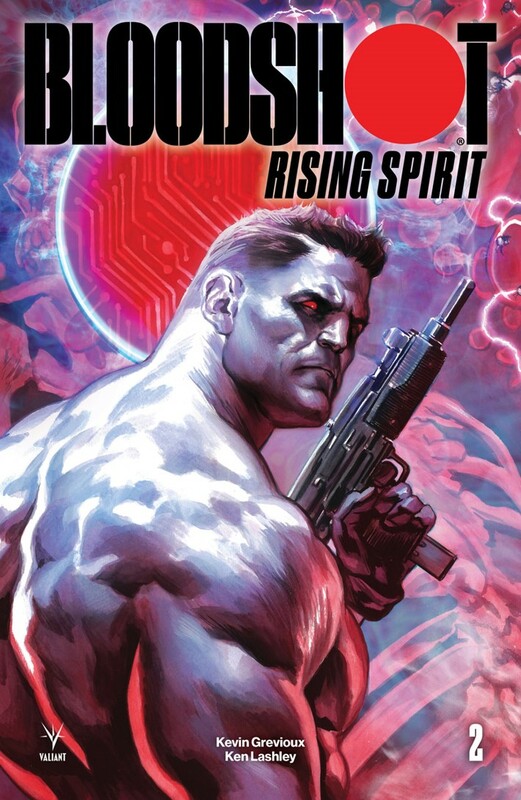 But first: Next week on November 14th, don't miss the beginning of this brand-new adventure with BLOODSHOT RISING SPIRIT #1! 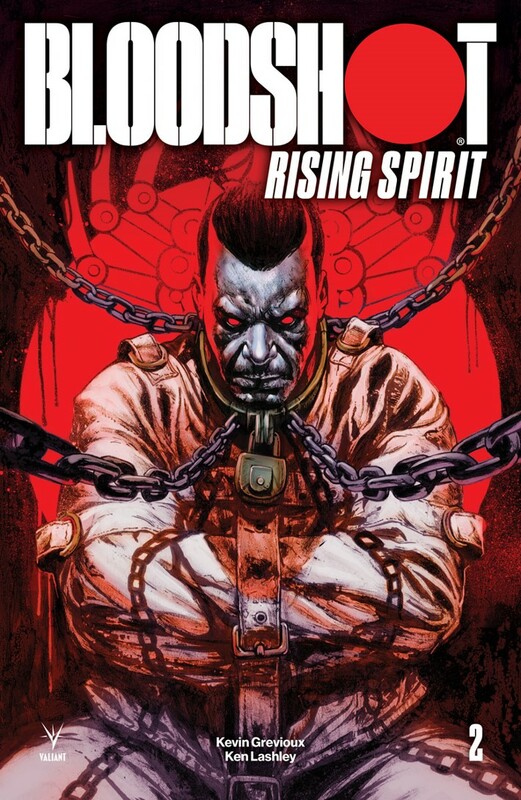 Created by a brutal brain trust of comic elites that includes Kevin Grevioux, Lonnie Nadler and Zac Thompson (Cable), and artist Ken Lashley, the definitive origin story of Valiant's walking weapon of war can now be told – featuring covers by Felipe Massafera (Kong of Skull Island), David Mack (Kabuki), Staz Johnson (Robin), and Doug Braithwaite (SHADOWMAN)!